The story of Piot’s discovery of Ebola is quite fascinating. The year was 1976, and Peter Piot, a young Belgian scientist, received a vial of blood from a deadly hemorrhagic fever outbreak deep in the Congo. Several days later, Piot was on a brush plane being dropped off in the middle of the Congolese jungle in an area deemed cursed by the locals. In fact, the pilots never even shut off the engines. Nor did they expect to see Piot again. Trekking through the jungle, Piot stumbled across an old monastery roped off with a sign, “Please stop, Anybody who crosses here will die.” Naturally, Piot crossed and what he found was a group of nuns who had locked themselves in a small residential building. A short period of time later, Piot had quarantined the ill, helped stop the outbreak, and described Ebola virus. Since the first case, this Ebola outbreak has been unlike any other. While it has not been as lethal as prior outbreaks, it has spread faster than ever before. Each exposure, each infection and each death is record setting - and have been for months now. Cultural complexities and lack of containment infrastructure are some of the major obstacles and challenges that lie ahead, as our united efforts have failed to contain the pathogen, and it is knocking on our front door. Every single patient with a fever needs a detailed travel and exposure history. Patients with the symptoms described below and any of the following exposures are considered to be "high risk:"
The virus may incubate for up to 21 days (symptoms can appear 2-21 days from exposure, on average the infected patient will become symptomatic 8-10 days after exposure). Once symptomatic, the patient is considered to be contagious with spread of the virus through direct contact with blood or bodily fluids. 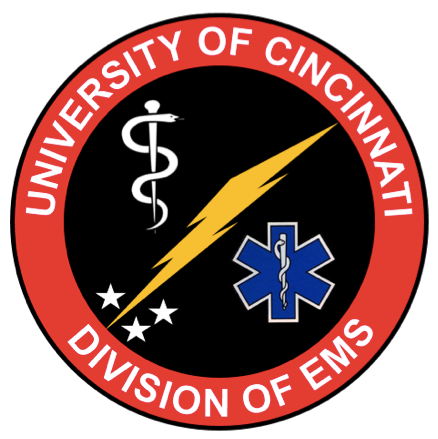 If you do have a patient with high risk features and has symptoms concerning for Ebola, please refer to your local practice guidelines (www.emergencykt.com for those at UC) and contact your local ID team, the health department, and the CDC at the numbers provided on their website. Additionally, the CDC recommends strict contact with airborne precautions as well as testing for any patient with a fever within 21 days of a high risk exposure - including contact with the ill, contact with ebola in labs, or contact with the dead in funeral preparation.